I quite enjoyed reading Tim Winton's new book "Eyrie" last week, which takes a jaundiced look at my home state of Western Australia. Port of Fremantle, gateway to the booming state of Western Australia. Which was, you could say, like Texas. Only it was big. Not to mention thin-skinned. And rich beyond dreaming. The greatest ore deposit in the world. The nation's quarry, China's swaggering enabler. A philistine giant eager to pass off its good fortune as virtue, quick to explain its shortcomings as east-coast conspiracies, always at the point of seceding from the Federation. Leviathan with an irritable bowel. The great beast's shining teeth were visible in the east, through the kitchen window. Not that he was looking. But he could feel it at his back, the state capital looming out there on the plain in its sterile Windexed penumbra. It was only half an hour up the Swan River, as close and as incomprehensible as a sibling. For while Perth had bulldozed its past and buried its doubts in bluster, Fremantle nursed its grievances and scratched its arse. Winton is frequently compared to Australia's other great writer, Richard Flanagan, though Winton's gaze tends to remain firmly focussed on his local space and time compared to Flanagan's wider range of vision. For me reading a Winton book is always an exercise that mixes the nostalgia generated by descriptions of places and people I grew up with combined with the general sense of loathing that these tend to inspire in me (not universally I should add). The protagonist is Eyrie is a burnt out environmentalist, recently divorced and unemployed, and now weakly attempting to remain viable in a downtrodden apartment building in Fremantle - Winton's home neighbourhood these days and one he does a good job of describing. I enjoyed the series of caustic paragraphs describing the dog walkers of south beach, the weekend visitors to the cafe strip and the ugly sprawl of suburbia across Perth's coastal plain. 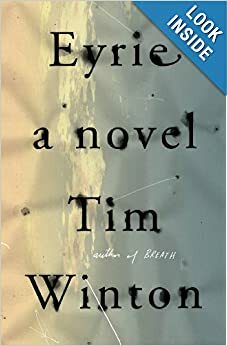 I didn't think Eyrie was quite as strong as Winton's last book, "Breath", but enjoyed it nevertheless. 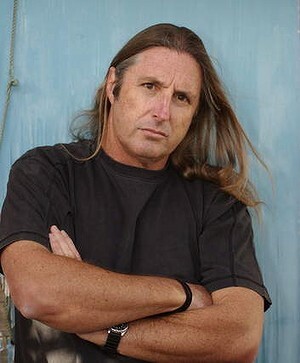 Crikey had an article on Winton's recent tour promoting the book - Tim Winton wants this taboo lifted. Tim Winton, politely but insistently, would like a recently imposed taboo to be lifted. This taboo is taking away people’s opportunities and may crimp the “life and mind” of Australia, he argues. So what is it? The popular Fremantle-based author argues the constraints imposed by social class, after a hiatus caused largely by Whitlam-era policies, are creeping back — but with the added burden that people are now not permitted to discuss (or rail against) class stratification. Such critics are now labelled as whingers who indulge in the politics of envy, he says — a label he has attracted himself. As he sees it, Gough Whitlam’s prime ministership, much maligned for its perceived economic chaos, heralded an opening, a pulling down of fences via free education and other policies. 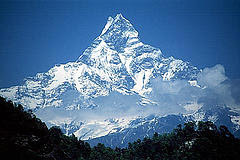 This brought an age of prosperity and expanded “the life and the mind” of the country. But more recently, those very people who benefited from free education have been “putting the fences back up” as soon as they get into cabinet, via regressive policies on education, single mothers’ payments, etc.